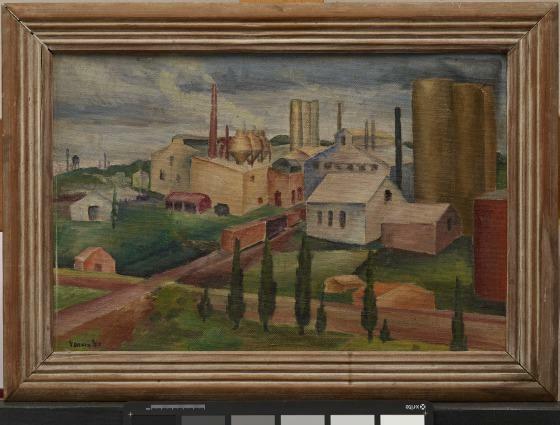 In the 1930s,Texas artists recorded not only the distinctive landscape around them but also the changing urban landscape as well. 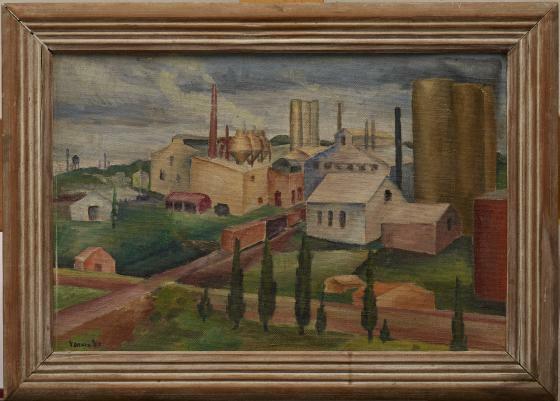 Velma Davis Dozier, a talented painter, watercolorist, printmaker, and jewelry designer, turned her attention to an industrial scene on the edge of downtown Dallas. 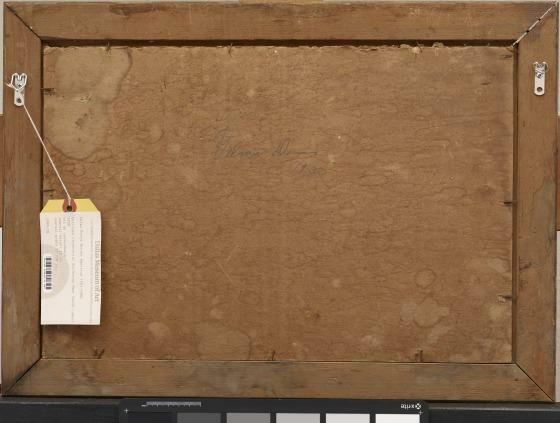 A lifelong sustainer of the Dallas Museum of Art together with her husband, Otis Dozier,Velma Davis Dozier left a substantial collection of materials amassed on the couple's many travels, as well as funds for the acquisition of tribal arts and an annual travel fund that allows Texas artists over thirty to broaden their horizons. Read a biography of Velma Davis Dozer from the Texas State Historical Association Handbook of Texas Online.